Home > Comet Clutches and Parts > Comet 217937A Brake Caliper Mounting Bracket > Comet Industries 218070A Disc Caliper Brake Assembly. > Comet 211673A. Actuator Plate for Comet Brake Assembly (218070A) > Comet 218198A. 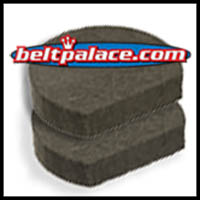 Set of 2 replacement Comet Industries Caliper Brake Pads #218198-A. Comet 218198A. 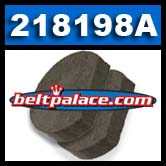 Set of 2 replacement brake pad pucks for Comet 218070A Brake Assembly. Comet Industries Caliper Brake Pad Set. Part: 218198A. Replaces: Murray 776938, Comet 218198. Genuine Comet Industries 218198A Part.